If you choose to use our transportation service, we will pick you up at your accommodation in Reykjavík and drive with you to Thingvellir National Park. 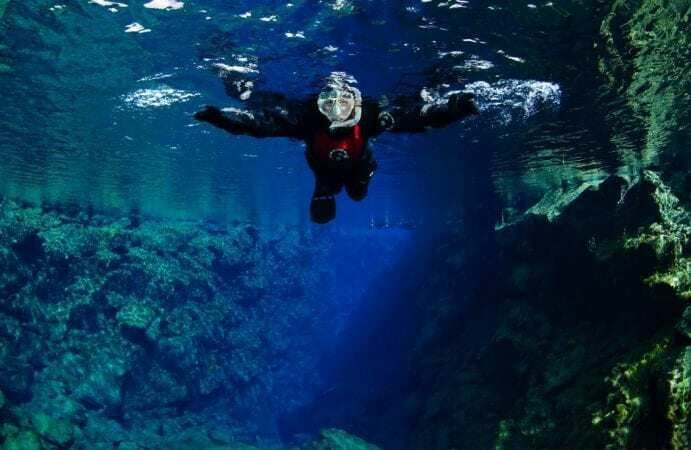 During the one-hour drive, your guide will provide you with background information about the unique geology and cultural history of Silfra as well as the surrounding area of the Thingvellir UNESCO world heritage site. Pick up service from Reykjavík is not available for all of the tours. If you need transportation, please be sure to pick a tour that gives you the option of pick up in Reykjavík. Pick up in Reykjavík begins 1,5 hours earlier than the tour times show below. If you book a tour without transportation, you will meet us directly at Thingvellir Park. Please see the booking calendar below for available meeting times at Silfra for the tour. Pick up begins 1,5 hours earlier than the tour times shown below.